A new handy iPhone prototype device called the Alcohoot iPhone Breathalyzer has been developed which has been designed to accurately check your breath to decide whether you had enough alcohol and if you’re over the legal driving limit for your country. The Alcohoot iPhone Breathalyzer is the worlds first smartphone breathalyzer and provides accurate personalised information taking into account your gender and bodyweight. Watch the video after the jump to see it in action. 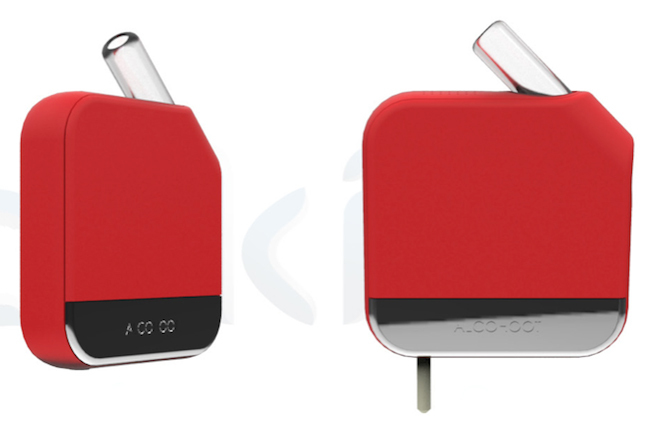 Currently the Alcohoot iPhone Breathalyzer design is just a prototype and proof of concept and has been designed to work with a companion application on your smartphone and provide social networking features and also save lives. The developers of the Alcohoot iPhone Breathalyzer in the future hope to partner with car services, along the lines of Uber, Lyft, or SideCar to offer users the ability for the application to call you a cab when required.